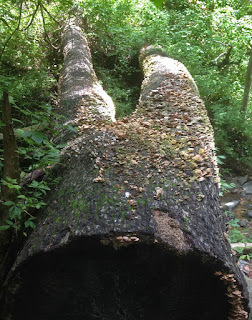 A tree trunk lies near a stream. Barnacle-shaped fungi cling to the bark. That made me stop and take a closer look. Wait---what is this? Had a magician's trick gone wrong? If so, where was the upper half of the body he tried to saw in half ? 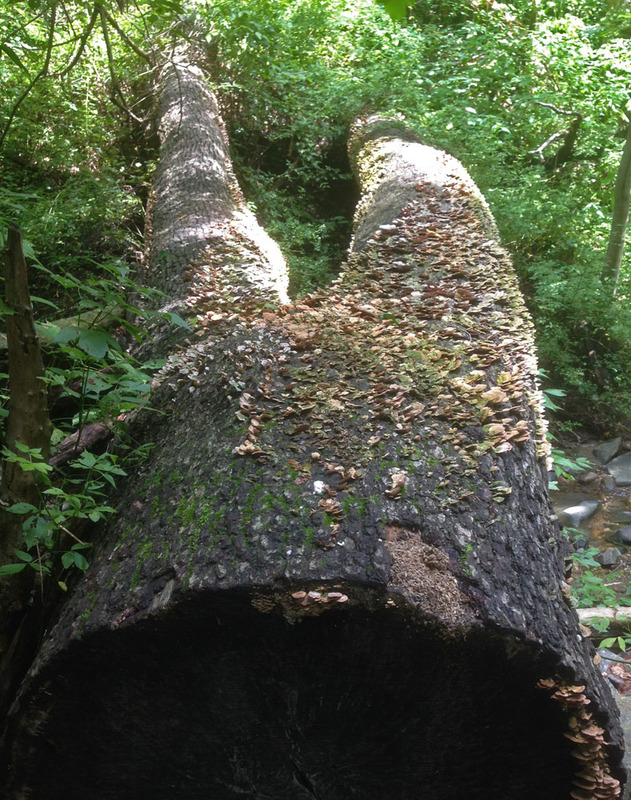 Or was this the remains of an Ent who slowly made his way from Middle Earth? Did Ents have legs? The velvety moss and ruffles of fungus embellishing the length of the trunk made it look like a fanciful pair of pants, escaped from some fashion designer's latest collection. This mysterious tree-being continues to rest peacefully in the dappled shade of the park, resigned to its fate.